Ted 2 Red Band Trailer #2: Mark Wahlberg Can't Handle the Party! Ted 2 is in theaters four weekends from now, and to help the anticipation along, Universal has released a second Red Band trailer that offers up some hilarious new footage. Mark Wahlberg is back, and he might just be too old to party! But guess what? It's not his best friend Ted, the living teddy bear, that puts him under the table. This latest footage recycles a lot of the jokes we've already seen in the first /ted-2-trailer/Ted 2 trailer and the previous /ted-2-trailer-red-band/Ted 2 Red Band trailer. We get to see more of the Tom Brady cameo, along with Ted driving a car. But there is also a new joke that runs throughout the sneak peek, which finds John (Mark Wahlberg), Ted (Seth MacFarlane) and their new lawyer friend Samantha Jackson (Amanda Seyfried) taking a mid-discussion pot break that doesn't end well for John. 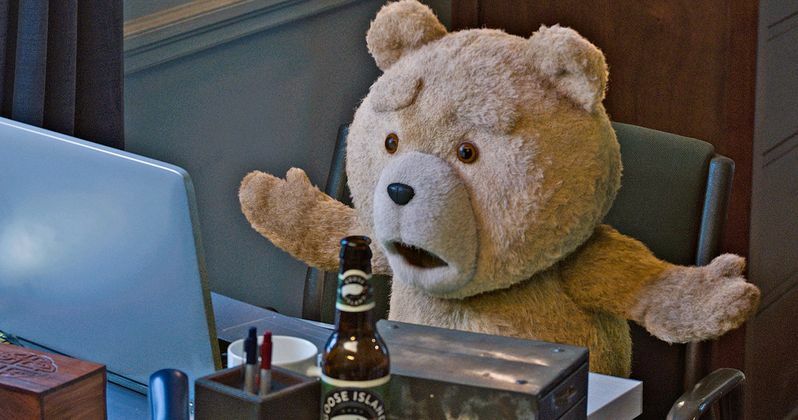 Ted 2 Trailer: The Bear Is Back!